Arapahoe Libraries has a wealth of ways to make sure you don't leave empty handed. Take home an Early Literacy Kit today! We want to make reading to your baby as easy as possible. 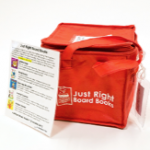 Board book sets for babies and toddlers are bundled in a convenient, easy-carry bag! Books are carefully sorted into six levels for ages and stages 0–24 months. They contain tips about what types of books are good for each developmental stage and why. Put one on hold today! Have you ever wanted to have your very own storytime at home? We provide themed totes with 4 quality story books, a music CD or hands-on learning toy, and tips for parents to extend storytime and early literacy learning at home. Each tote focuses on one of the Every Child Ready to Read early literacy practices: READopens a new window | WRITEopens a new window | TALKopens a new window | SINGopens a new window | PLAYopens a new window. 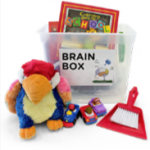 These kits are filled with fun and tested age-appropriate materials and activity guides focused on early brain development for children ages 0–5. The early literacy department created these sets of easy "in the moment" ideas to add educational fun to your child's day. Pick up a set in the children's area of your local libraryopens a new window and take them with you wherever you go! We've partnered with Bright by Threeopens a new window to provide bags filled with valuable resources and materials designed to promote the healthy development of children in the first three years of life. There is a different bag for children 0–12 months, 12–24 months and 24–36 months. Bright By Three materials are offered at no charge to parents and caregivers throughout Colorado. Contact a staff member to receive one todayopens a new window! 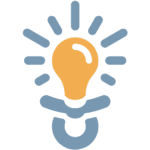 You can also sign up for the "Bright by Text" service that sends free games, tips, and resources via text to parents and caregivers of children prenatal to five. 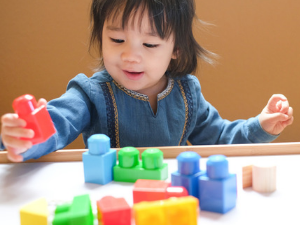 Messages are targeted to your child’s age and include information on child development, language and early literacy, health and safety, behavioral tips, and more! Sign up anytimeopens a new window! Children (and adults!) love listening to stories! These picture books with CDs are great for listening together, whether in the car or at home. We've paired fiction books with a high-interest, nonfiction book on the same topic. The nonfiction book provides background knowledge that will help when reading the fiction book. 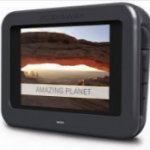 Take home a pre-loaded learning tablet and play together! Watch books made into movies when you're on the go. Ask us if you'd like to learn more.